We’d love your help. Let us know what’s wrong with this preview of Sachael Dreams by Melody Winter. Twenty-two-year-old Estelle Bailey has had enough of busy city-life and her hot-tempered ex. She escapes to the seclusion and peace of her family’s clifftop home in Ravenscar, where the soothing solitude whispers to her soul as strongly as the sea itself does. But her newfound contentment is interrupted when a mysterious man—a Sachael, master of seduction—joins her midnigh Twenty-two-year-old Estelle Bailey has had enough of busy city-life and her hot-tempered ex. She escapes to the seclusion and peace of her family’s clifftop home in Ravenscar, where the soothing solitude whispers to her soul as strongly as the sea itself does. But her newfound contentment is interrupted when a mysterious man—a Sachael, master of seduction—joins her midnight swim unexpectedly. Estelle struggles against his charm and the overpowering attraction she feels for him. He offers her a life she never could have imagined, a life beneath the waves... but at what cost? Before she can decide, she’s captured, ensnared by the Sect, a secret enemy of the Sachaels, becoming a pawn in a war she knew nothing about. To ask other readers questions about Sachael Dreams, please sign up. I agree with a lot of the reviewers when they say that the pace is slow. The author goes into detail to describe the waves in the ocean, the colors in the sky, and the many thoughts going through Estelle. But even though the pace isn't fast, it's perfect for this story. Estelle is a special girl. She just doesn't know it. Her father died when she was young, and her mother is at a care home. The only time she feels safe and whole is when she is near the ocean. On one special day, she is pursued by a Sachael. His name is Azariah. Sachaels look like humans on land, but when their bodies touch water, their limbs become webbed. They also have gills. Azariah is mesmerized by Estelle but problems come up when others notice her too. It's so easy to fall in love with Estelle and Azariah. Azariah is a bit awkward and speaks differently since he doesn't have much experience interacting with humans, but he is still a very chivalrous gentleman Sachael. I can't wait to read the next book! First of all, I want to say that I’ve never actually read an entire prologue until now. Oh, I’ve tried. But they always seem like convoluted openings to a different opening and the dots don’t always line up. Eventually, I just skip straight to chapter one. But the prologue for SACHAEL DREAMS actually made sense (huzzah!). Not only that, it made me more intrigued by the characters introduced later on. We know these sachael men impregnate human women and then make off with their babies. The savior First of all, I want to say that I’ve never actually read an entire prologue until now. Oh, I’ve tried. But they always seem like convoluted openings to a different opening and the dots don’t always line up. Eventually, I just skip straight to chapter one. Ooohh, you naughty, naughty cliffhanger! You really got me good there. This book was so, so good! I liked pretty much everything about it. The characters, the plot, the mythology. The love story. I adored the setting in a secluded cliff-top house in Northern England. The writing was no less than lovely and created this mystical, almost fairytale-like mood. The pacing was rather slow, which matched the atmosphere perfectly, though. As the cliff-top breeze picked up, rustling the fully leaved trees, I drew in a deep breath. The saltiness of the sea carried up here, brought by the twists and turns of the air currents as they danced their way into the sky. This series is about the Sachaels, a race of human-like creatures living in the ocean. They are the self-proclaimed 'Angels of Water', skillful and beautiful seducers who, since there are only male Sachaels, come on land only to impregnate human women and steal their sons in order to ensure the survival of their kind. It was so different from everything I've read so far, and I loved it. Estelle was a wonderful and very relatable heroine. Just a little bit damaged by her former relationship, yet strong and independent. I liked how for a very long time, we never really knew what to think of Azariah. Could we trust him? Were our and everyone else's doubts justified? Exactly the same with Michael. Was he ally or enemy? Friend or foe? I can't say how much I loved Orontes as the villain. He was hilarious, though I doubt he was intended to be. Oh, he was cruel and intimidating and made for a fantastic bad guy, but I couldn't help cracking up every time he would shout or snap or glare, even smirk. In a totally twisted way, I found him oddly endearing. He was awesome. So why not 5 stars, you ask? It wasn't quite perfect. (view spoiler)[I found the finale a little too anticlimactic. After all the build-up, I was expecting a little more of a fight. (hide spoiler)] Also, I felt overall, there was just a teeny tiny bit of room for improvement left. I can't wait to read the sequel, and not only because of the cliffhanger. Bravo Melody Winter. Well done. I flew through the second half of the book, unable to put it down until I finished. I want the second one to be out already! If you love romance and a character with flaws and strengths trying to figure out life and wounds and love, then this book is a must read! Oh yeah, and hot ocean guys. Even at the end, I found myself questioning what was real and what wasn't. And characters you want to hate, you don't. I want to know more, and find out what's really true and wh Bravo Melody Winter. Well done. Even at the end, I found myself questioning what was real and what wasn't. And characters you want to hate, you don't. I want to know more, and find out what's really true and what's all a lie. I WANTED it. I've been DYING for a fresh underwater tale, one with better world building, better character development, better...just better than the watered down tales I've read lately. This book delivered on so many levels. So what kept me reading? I wanted to find out whether or not his affections were true. I NEEDED to know whether or not Estelle would wind up just like Lilith. I really liked Estelle as a character. I found her aversion to crowded places and passion for art particularly relatable. I loved reading the passages about her father's paintings and the vivid world he tried to capture on canvas. I liked that Azariah was open and honest about how a Sachael usually treats human women, how they seduce and impregnate them only to return to steal their babies. While he's not my favorite character, he did win brownie points for his honesty. "[Azariah] was silent for a few moments before speaking. 'I have observed you for four months, at every full moon.'" "'Is here okay?' he asked, pulling me forward in the water so I was held in his arms. 'Perfect,' I replied, wrapping my legs around his thighs and pressing my lips to his for a quick kiss. He raised his brow. 'This will be easier to do if you do not trap me between your thighs,' he said, the twitch of a smile crossing his perfect features." And...I knew Orontes was coming. Orontes in a single quote: "I think he's the only person I've killed today." "Was he serious? I narrowed my eyes at him, pushing myself from the bed. 'You can stick that picture right up your--'"
The first chapter of Sachael Dreams threw me into a world of mystery & heartache. These were only two of the many emotions I felt while reading. I was on a rollercoaster ride throughout the whole book – there was romance, action, love and hate. The love Estelle and Azariah share is one we all wish for at least once in our lives, just like Azariah did. He will do anything for his soul mate, Estelle, but don’t let his gentle way fool you. He is a fierce warrior when he needs to be. I also love The first chapter of Sachael Dreams threw me into a world of mystery & heartache. These were only two of the many emotions I felt while reading. I was on a rollercoaster ride throughout the whole book – there was romance, action, love and hate. The love Estelle and Azariah share is one we all wish for at least once in our lives, just like Azariah did. He will do anything for his soul mate, Estelle, but don’t let his gentle way fool you. He is a fierce warrior when he needs to be. I also loved the way their love was challenged from the moment he contacted her. How does Estelle know whether he is telling the truth or playing with her heart? All this because Azariah is a Sachael, and as described in the blurb, a master of seduction. And when Estelle gets caught!! Oh my. I felt her heartache and fear. She goes through so much when she’s locked up, but are her captures helping her or just using her? I kept guessing who was telling the truth, and who was lying. Were they using her, or were they really concerned? I was so lost in the story it kept me turning page after page to get to the answers. I loved Sacheal Dreams so much I know it will be a story I will read over and over, and I can’t wait to see what Winter has in store for her characters in the next book, Sachael Desires. I have always felt a connection to the water. Being by water, whether it be Lake Erie or the Puget Sound, always makes me feel calm, and refocused. 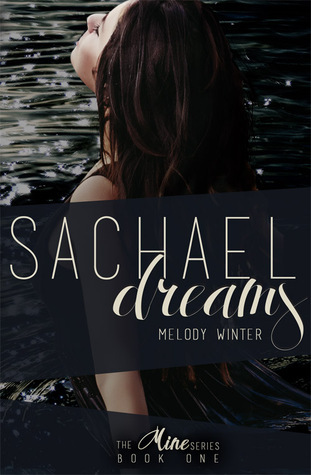 So when I first heard about SACHAEL DREAMS by Melody Winter, I knew that I had to read it. While I have never been a fan of prologues, I felt the use of one in SACHAEL DREAMS was executed expertly. Already I had questions that I needed answers to. But, it was really the opening lines of the first chapter that really sucked me in: “The sea whispered m I have always felt a connection to the water. Being by water, whether it be Lake Erie or the Puget Sound, always makes me feel calm, and refocused. So when I first heard about SACHAEL DREAMS by Melody Winter, I knew that I had to read it. While I have never been a fan of prologues, I felt the use of one in SACHAEL DREAMS was executed expertly. Already I had questions that I needed answers to. But, it was really the opening lines of the first chapter that really sucked me in: “The sea whispered my name. Each gentle, rippling wave edged nearer to my feet, and I smiled.”. From there, Estelle’s strange dreams launched me into a new world that had me questioning what was real and what wasn’t. Even when she meets the mysterious Azariah, everything still felt like a dream. What I loved about SACHAEL DREAMS is that I identified so much with Estelle. It’s not just her affinity to water, but her overall character. As I read, it wasn’t just the storyline that kept me turning those pages; I wanted to read more about Estelle and her world. I recieved and eARC from the publisher in exchange for an honest review! Estelle lives on Ravenscar an almost isolate place, save for the small village and the center where her mother lives, after the death of Estelle's father. When one night, under the full moon, she meets a mysterious man, who is much more than she believes, then an adventure begins. I have read many books about mermaids. Some were good other seemed a littl I recieved and eARC from the publisher in exchange for an honest review! I have read many books about mermaids. Some were good other seemed a little more like a bad copy of Ariel. But on this novel, we have imagination, livid descriptions and a heroine who despite the odds, she becomes strong enough to fight for her life. Despite also the number of men in this book, there is no love triangle/square and any geometrical size of sorts (which was my main fear). For it starts with a shell. And continues with a voice, one that haunts her dreams. Azariah. But who is this stranger? Can we trust him? Azariah, a sachael, a creature from the sea, seems very nice. A little too nice for me, but Estelle begins to fall We begin with a prologue. Lilith. Some people don’t like prologues, but this one was perfect. Her story stays with us after we move on… to Estelle. What happened to Lilith… will it happen to Estelle? Azariah, a sachael, a creature from the sea, seems very nice. A little too nice for me, but Estelle begins to fall for him. The first half of the book did, I admit, have me rolling my eyes at all the so much in love parts, the so happy parts, the sappy stuff, the I-want-him-SO-MUCH-but-I-just-don’t-know parts. It’s a romance and the entire book is extremely well-written. Five, Orontes… I like him. There must be a bit more to his story. Whoa. This book is dark, mysterious, and full of emotion! I purchased Sachael Dreams when it first came out, but as life got in the way it sat on my Kindle for a while. Big mistake! I should have read it immediately because once I started that heart-wrenching prologue I was sucked in. The mythology in this story is certainly fresh and unique. I love when a familiar “creature” is reinvented, and that’s exactly what Ms. Winters has done with her mer-man Sachaels. Instead of the inquisitive, helpfu Whoa. This book is dark, mysterious, and full of emotion! I purchased Sachael Dreams when it first came out, but as life got in the way it sat on my Kindle for a while. Big mistake! I should have read it immediately because once I started that heart-wrenching prologue I was sucked in. The mythology in this story is certainly fresh and unique. I love when a familiar “creature” is reinvented, and that’s exactly what Ms. Winters has done with her mer-man Sachaels. Instead of the inquisitive, helpful sea-people we’re used to, Ms. Winters Sachaels engender more of the traditionally malevolent Siren-like traits, but instead of beautiful mermaids luring sailors to their deaths, these are dashing mer-men who seduce and impregnate women. 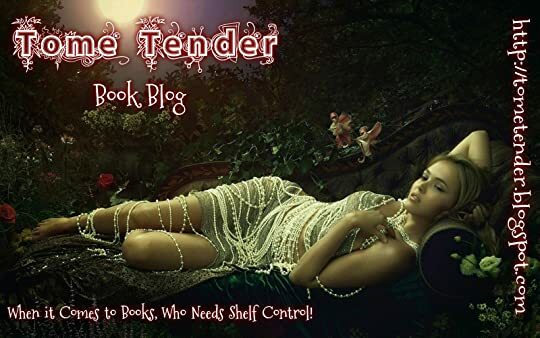 They are to be avoided, and they are to be feared, but when Estelle finds herself the object of affection for several Sachaels, the reader is left constantly questioning who is sincere, and who isn’t. The premise of this story reminded me of Margaret Atwood’s The Handmaid’s Tale in that the Sachaels treat women as property used for reproductive purposes. It’s repulsive, infuriating, and yet, completely fascinating. I’d imagine the author grappled with this plotline once or twice, given the misogynist Sachael traditions, but the author also gave us a heroine to root for, who was born to break the mold. Narrative-This book is told from the first-person POV of the lovely Estelle (with the exception of the prologue, which is told in the third-person POV of an unnamed woman). Quick side note: I've read this on other reviews, too, and I agree that normally prologues aren't needed. I went into it fully expecting it to be kind of a useless one, but after reading it and reading the rest of the book, it actually kind of works? It's w This review first appeared on my blog: What Happened to the Wallflower? Quick side note: I've read this on other reviews, too, and I agree that normally prologues aren't needed. I went into it fully expecting it to be kind of a useless one, but after reading it and reading the rest of the book, it actually kind of works? It's weird. It even gives the reader an extra bit of information that even most of the characters don't know. So I mean, I'm not a fan of the prologue, but it just kind of...works. Back to the regular narrative: Estelle's voice is heavy on description and emotion; by that, I mean that the descriptions (my favorite part, probably) were extremely vivid, and the way in which things were described and that she worked through things in her head were thick with what she's feeling on the time, which translated really well from the page (or my Nook screen) to me (the reader). It was an easy voice to follow, which made the narrated parts flow very well (although I found some of the dialogue easy to trip over). Plot-Estelle is a twenty-two year old young woman who's moved back to her home in Ravenscar after getting out of an abusive relationship. Her father died in the sea ten years prior, yet every month she continues doing what she calls a "ritual" in the sea: a monthly tradition she'd done with her father, which she promised him she'd continue doing even if he died. As a reader, I knew there had to be more to that ritual than met the eye, and luckily I wasn't disappointed. What I really liked: the hints and the mystery. Throughout the entire first half of the novel there were little weird things that cropped up that up up red flags, but you weren't sure whether you should pay attention to it or not. I'm talking a man on the train, a woman in the town that Estelle walks through, the repetition of descriptions of her father's paintings. They're all relatively small things, but they stand out in the subtlest of ways, which kept me suspicious and intrigued. This mystery includes the fact that the prologue sets up the danger: Sachaels. Yet then you meet Azariah, who's a Sachael. Then you proceed to spend about two-thirds of the book wondering if he's really a bad guy, or if he's really as sweet and adorable as he seems. Then the sect gets involved and kidnaps Estelle, and then you need to figure out how good or bad they really are (as well as the individual characters involved). It's very frustrating, but in a good way. The plot is also heavy on the romance (well, duh, it's "romantic fantasy" for a reason), which means that any and every scene that includes both Estelle and Azariah is going to be adorable. What I didn't like: the pacing kept throwing me off. From the first chapter, everything happens fast: meeting Azariah, learning that Estelle's mother knows things, and the fast-growing relationship between Estelle and Azariah. It threw me off, but only because it felt like one of those openings that was going to take off at sixty and then accelerate from there; I understood and accepted it. Only, it didn't. It kind of slowed down; this was something else I was willing to accept, because once we hit about the halfway point, things sped up again when the Sect charges in. So the next few chapters were great and suspended your anxiety in this middle ground where you're like oh, yeah, sh*t's getting real, now. But then it slowed down again, until around the last thirty-ish pages. And then the climax was...well, anti-climactic. A great world was set up, here, and I was and am still willing overlook a few things that I don't like on personal levels (like insta-romance; yet I'm overlooking it because it simply fits with the genre, the narrative, and the mythology involved). I loved the suspense, and I loved the hints and the fact that I was kept on the fence over, well, who's really the bad guy, here? Yet in terms of the pacing and climax (and a few other scenes), I felt there were missed opportunities to engage in some action and to really put the reader in the scene. So I might be getting a bit generous with the stars, but only because (as I keep saying) the mystery and the world were so darn fabulous that I couldn't wait until I could pick the book up again to keep going. Characters-The biggest statement I can make about these characters is that they're all extremely passionate, about one thing or another. 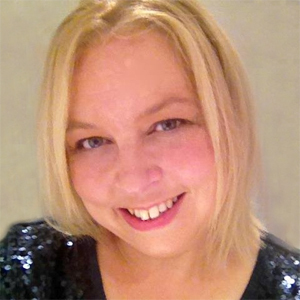 Estelle holds a passion for the sea, for her family, and for Azariah. Azariah as a passion for Estelle. Orontes is passionate about revenge (and Estelle, but that's a very strange and slightly creepy story). Pactolas is passionate about killing Estelle and getting his father's respect. I loved that the characters all had something or somebody to be fiercely emotional about, things that they were willing to shape their entire life around. That's what made me connect to each of them on even a small, base level (the want to love someone so deeply, to have a place or a person to call home, to earn the respect of somebody you respect). And Estelle was adorable with her hot chocolate (I'm sorry, I had to say it; she drinks it all the time, and she got really excited about giving it to Azariah for the first time. it was such a small detail that made me smile every time). What kept me from connecting with these characters on a deeper level, though, was how chaotic I felt they were. They'd say one thing, and then turn back on themselves, or else they were a bit one-sided. They're all strong (as in strong personalities), but in turn I'm not sure I got a chance to really see their weaknesses (aside from Estelle, since the novel is in her POV), which would have made them a bit more three-dimensional. There was only one side that I tended to see, and that made them fall flat in intense situations, despite how well-crafted they appeared. I love the water so I'm always on the look out for a good "water-creature"-related read. I had always been drawn in to the idea of merpeople but I had never read something like what Ms. Winter's had written. I loved the idea of Sachaels. I did not know of them until I read this book. I like how the author took the idea of Sachaels and made it her own. Vicious when needed but mesmerizing. Just so you know, Sachaels are not synonymous with merpeople in this book. I liked the characters, Estelle is a good protagonist, she makes mistakes but she learns from them. There are some moments where I want to bop her on the head but her actions are understandable. Considering her situation I'm glad she questions what people tell her but sometimes I'd wish she'd fight a little more but I suppose then the plot wouldn't move as much. Still she's someone I had no problem rooting for during the story but I never did know what else she liked to do beside draw and paint. I found it strange that she didn't try to find a trade or have a job besides selling her father's paintings. I guess I would have liked to see more about her in her everyday life prior to all the craziness. I like the love interest as well, and for a Sachael, he's more of a gentleman than I thought he would be which I did not have a problem with but wondered where he learned it all from. I would have liked to learn more about where he came from but all that information is sparsely spread throughout the novel and we still only get glimpses. I'm not looking for an info dump but I kind of wish I got more information about his world and what's considered everyday life for him. Estelle's mother was odd and not too helpful. I don't like how parents hide important information from their children when they need to know that information only for it to pop up later to shake their world. It's just frustrating to read and I see it a lot in books so it's a bit of a pet peeve in books lately. Just a personal opinion. The author's writing is lovely and intricate. I had no problems imagining myself in the places she described although I've never been there. I could easily get lost in her writing but at the same time, I found myself slogging through looking for the good stuff. I felt like the writing kept me interested but I also wanted more action to propel me. I think the pacing could have been tighter and the stakes raised more. That's my only main complaint about the book. The ending is somewhat satisfying but I'd have liked to see more but it did tie up the main arc. I felt where it ended wasn't as complete as I would like but since I know there will be sequels after this book it had been purposely left open ended. There isn't really a cliffhanger at the end, the reader knows what will happen immediately at the end which will just continue the story. This is good and bad but personally I'd rather have a cliffhanger so it'd give me something to look forward or speculate about until the next book. That's just a personal opinion. Other people may enjoy a more open ended conclusion like this so it depends what you like. The pace is slower than I would have liked for the novel but I found myself caring what happened to the characters. That is what pushed me to keep reading and to find more information about life under the water. If you enjoy slow romance, drama, and water-related mythical creatures, you can't go wrong with this read! I am already in love with Melody Winter’s NA romance/fantasy series, and this is only the first book! Sacahel Dreams was an absolute joy to read. I normally don’t read prologues, but I was hooked! (Fishing pun-intended.) Melody Winter executed the prologue like a champ; kudos to her! The way she used the prologue to later include more information was a brilliant thing to do. So, from the prologue, we know that the Sachael men just use women to have their children. We saw this with Lilith. Seventeen and pregnant, goes into early labor, then the child is practically ripped from the womb by Kaimi. With this information going into the main story, it left me wary to trust Azariah. He claims love, but is that truly all it is? Or does he want a child? What I liked the most about Sachael Dreams was that there were little bits and pieces that add to the mystery. E.g. : Estelle feeling like she’s being watched, the man on the train who was a little too interested in Estelle’s life, the woman in the town where Estelle was walking, etc. It really set up the story for me. The plot was conducted very well, in my opinion. Normally, I would say that the pacing was off, but considering that the sachael are seduction masters… that’s not the case. The instant relationship between Estelle and Azariah was okay for this book; the pacing worked. There were some parts of the book (that I will not go into detail, for the sake of spoilers), that were really enthralling. Estelle ends up having two groups of people who she is torn between. She doesn’t know if she can trust her possible true-love (and his people), or if she can trust the people that are set out to destroy Azariah’s world. I would definitely recommend reading Sachael Dreams if you’re a fan of romance with a touch of mystery, and fantasy. Opening with a brief and enthralling tale of love and the brutal heartbreak of loss and betrayal, we meet young Lilith, who fades into our memories like something from long ago. Enter the contemporary Estelle, seeking peace in her life and freedom from a crazed ex-boyfriend by escaping to the seaside, to a family home that brings her closer to the memory of her father and a life that feels soothing and calming. There is more to the water than the gentle ebbing and flowing of the waves, more than Opening with a brief and enthralling tale of love and the brutal heartbreak of loss and betrayal, we meet young Lilith, who fades into our memories like something from long ago. Enter the contemporary Estelle, seeking peace in her life and freedom from a crazed ex-boyfriend by escaping to the seaside, to a family home that brings her closer to the memory of her father and a life that feels soothing and calming. There is more to the water than the gentle ebbing and flowing of the waves, more than the marine life that plays offshore. A breed of underwater man-like creatures reside beneath the waves and one mysterious, warm and seemingly caring Sachael has found her and he promises her his love, if she will just trust in him and return to his world below the sea. What she discovers is that she will become a pawn in a brutal game of war and rebellion when another cold and calculating bred from the sea take her prisoner as they attempt to discover who and what she really is and fill her head with tales of the true nature of the Sachael. Who can Estelle trust? What madness are they talking about? Is it possible she is more than a mere human? Sachael Dreams by Melody Winter is a trip into a dark fantasy world where human women and their hearts and bodies are manipulated to keep an ancient civilization alive as the children they bear are stolen at birth, never to be seen again. Some move forward, some cannot, but Estelle is in love and unique, will she be the next victim of a man’s charm and lies? Melody Winter sets a beautiful stage with care, filled it with background, and scenes that will send the smell of the salt air through one’s mind. Savor the build up to the mystery and intrigue, the evil plot twists and the confusion that grows in Estelle’s mind and heart will be plenty of action for you, as will the speed at which these men from the sea move. Will she get her happily ever after or will the pain of the past, present and unknown future be too much to take? Part dark, yet gentle romance, part dark fantasy that will claw its way through your mind, Melody Winter has made a niche for herself in a world filled with the supernatural, the unbelievable as she travels that fine line between good and evil, blurring the edges often as she colors outside of the lines. 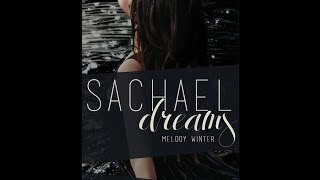 I received a copy of Sachael Dreams from Melody Winter in exchange for my honest review. Note: I received an ARC of this novel in exchange for an honest review. Sachael Dreams is a sweet love story that takes place in a wild section of the coast of England. The setting is one of the book's major strengths; Melody Winter does a great job of making Ravenscar and its bay into characters in their own right. Her descriptions of the bay, and the various characters' feelings about the sea, are captivating. The prologue does a nice job of providing a bullet to push the reader through the in Note: I received an ARC of this novel in exchange for an honest review. The prologue does a nice job of providing a bullet to push the reader through the initial setup with the narrator, Estelle. I'm never anti-prologue; I tend to enjoy them. In this case the prologue was absolutely essential, providing dramatic irony and tension. I thought it worked extremely well. If you're a prologue skipper, don't miss this one; if you do, you'll spend the first part of the book wondering where the conflict is. I liked the hints about the world of the Sachaels, though I wish a bit more of the action would have taken place in scene instead of being explained to us after the fact. I'm looking forward to delving deeper into this world (pun intended) in the sequels. I would have liked to get a better sense of Estelle as a character. Her voice is rigid at times, and she often explains things that were already sufficiently related through scenes or details. It's distracting when a narrator undermines these elements by hammering the point home through exposition. When you lay a carefully constructed trail of crumbs for the reader, you don't need to reinforce it with superglue--if you're clear, we'll follow. While Estelle's descriptions of her father's paintings make up some of the loveliest and most poignant scenes, I would have liked her to have been defined by something other than the men in her life. Her mother plays a small role, but otherwise it's about her father, her new love, the threats surrounding her (her enemies are all men; though supposedly they're led by a woman, Estelle never comes face to face with her) and her ex-boyfriend. She draws a bit, but we never really get a chance to see how much (if at all) this matters to her. The dialogue could have used a bit more spice as well--it occasionally became repetitive, and at times too many exclamation points tipped the scales toward melodrama. In all honesty, the genre of fantasy is not my thing. But of course you throw in the premise of the sea and all things creatures in them and I can’t deny my interest. Sachael Dreams sports this theme, and I knew from the second I first heard of it, I’d fall wholeheartedly in love. And oh, man was I right. The story starts with the lonely Estelle. A young girl with not much of a future, but lots to hope for. Her father is gone, her mother is in an institution, as well. Now she’s alone, staying in In all honesty, the genre of fantasy is not my thing. But of course you throw in the premise of the sea and all things creatures in them and I can’t deny my interest. Sachael Dreams sports this theme, and I knew from the second I first heard of it, I’d fall wholeheartedly in love. And oh, man was I right. The story starts with the lonely Estelle. A young girl with not much of a future, but lots to hope for. Her father is gone, her mother is in an institution, as well. Now she’s alone, staying in the lonely seaside town of Ravenscar. Every full moon she is to do a ritual where she submerges herself into the ocean, saying some words that have no real meaning to her, other than the fact that her father told her she must do them. So to keep her father’s spirit alive, she does just that, only one night, everything changes. Estelle and the amazing and secretive world she’s thrown head first into. I loved Estelle, she’s a touch girl with a heart of gold, wanting to protect those she loves, while putting her own self at risk in the process. She’s an amazing heroine that you will find yourself rooting for until the very end. Azariah…the hero. *MY HERO* I wanted to steal him out of the pages and keep him locked away in my pocket. I adored his protective instincts over Estelle, and the fact that he was willing to give her room to be herself and find her way, as well. To me, there was no other choice when it comes to the person Estelle was supposed to be with. I read the first chapter for this a while ago during a competition, and desperately wanted to read the rest ever since. So, when it published and the chance to read it was offered to me, I snatched it up! Estelle is our narrator, a quiet, fairly reclusive girl, especially after fleeing from an abusive relationship. She has returned home to perform her monthly ritual she promised her father she would keep, when she finds a rare shell. A shell that shouldn't be anywhere near her beach. 4.5-5 stars. Estelle is our narrator, a quiet, fairly reclusive girl, especially after fleeing from an abusive relationship. She has returned home to perform her monthly ritual she promised her father she would keep, when she finds a rare shell. A shell that shouldn't be anywhere near her beach. Soon after she collects the shell, a strange man appears in the water with her and, understandably, scares her half to death. But she can't stop thinking about her, and when he appears in her dreams and they agree to meet in person, her life takes a dramatic turn. Estelle's life has always been quiet, her parents keeping to themselves. They loved each other and Estelle, and so Estelle never really met anyone outside of them. As a result, she misses them terribly especially her father, and is content being on her own. She is kind but strong willed and smart. She never lets anyone get the better of her, no matter how hard they push. Azariah is the man in the water who she ends up falling for. The first half of the book consists almost entirely of their interactions and falling for one another. Slowly he reveals things to her, things that confuse her, but strangely make sense. Then, right when secrets are uncovered, all hell breaks loose. The story is excellent. It's well plotted with twists and turns. It ends cleanly, but leaves enough unanswered to make you anxious for the next installment. For example; the girl in the prologue. There's so much I suspect there, but very few answers! So eager to see where that goes. The only reason I knocked off half a star is because I felt the internal dialogue slows things down in places. It gets a little heavy and repetitious. But it's a debut novel, and so well written, so don't let that deter you! The adventure began one cool, rainy Mother’s Day. I’d decided to be a couch potato and was relaxing on my comfy sofa, when it struck me that I should take advantage of my down time to read a book. But not just any book. I wanted something with a little mystery and a lot of steamy action. Sachael Dreams promised both, so I decided to give it a try. I’m glad I did! This book drew me in from the very first page. I love prologues (yeah, I’m old school), and SD set the scene with a dramatic prologue t The adventure began one cool, rainy Mother’s Day. I’d decided to be a couch potato and was relaxing on my comfy sofa, when it struck me that I should take advantage of my down time to read a book. But not just any book. I wanted something with a little mystery and a lot of steamy action. Sachael Dreams promised both, so I decided to give it a try. I’m glad I did! This book drew me in from the very first page. I love prologues (yeah, I’m old school), and SD set the scene with a dramatic prologue that left me completely sympathizing with Lilith and dying to find out what came next. The adventure continued with Estelle’s beautifully detailed narrative and her slow, magical descent into the seductive world of Sachaels. The characters in SD were fascinating. I loved the way I never knew who I could trust. Orontes, for instance, was a compassionate, haunting figure in the prologue—and then came bursting onto the scene later with enough intimidating force to make me wonder about his motives. I also found myself wondering about Azariah and Michael, trying to decide if they were friend or foe. Not knowing kept me engrossed in the story, along with the delicious physical tension between Estelle and the men determined to have her. Awesome universe this author has created! I cannot wait to see what the next book brings!! The characters are so vibrant and full of life, they have wrapped me up in their world and I don't want to leave! Estelle is a character I can truly identify with, artistic and solitary by choice, loves being near the water and is perfectly happy living alone. Her trip to the city was an episode from my own life even. The way she reacts to the men who enter her quiet lifestyle makes me want to be her friend Awesome universe this author has created! I cannot wait to see what the next book brings!! The characters are so vibrant and full of life, they have wrapped me up in their world and I don't want to leave! Estelle is a character I can truly identify with, artistic and solitary by choice, loves being near the water and is perfectly happy living alone. Her trip to the city was an episode from my own life even. The way she reacts to the men who enter her quiet lifestyle makes me want to be her friend and have coffee with her. Speaking of the men in her life, they are all men I would be attracted to for the same reasons she is. Started this a few weeks back. I took it with me while waiting for son to finish swimming. So I only read a chapter here and there. Picked it up again over this past weekend and couldn't put it down. I got so hooked as the events unfolded. The connection between the characters was amazing. I was willing for everything to work it and just wanted to read and read until the end. I can't wait till the second book comes out. I think there is something about Lilith that hasn't come out just yet. I received an arc to provide an honest review. From the moment on I read the prologue, I knew I was absolutely intrigued. I have never encountered books like these before and I was pleasantly surprised how much I enjoyed reading this book. This book was at times surprising—but mostly predictable. Sachael Dreams starts off with an engrossing prologue; Lilith being used, seduced, impregnated, abandoned and left with no child by a Sachael. It then follows Estelle who also encounters a Sach I received an arc to provide an honest review. Sachael Dreams starts off with an engrossing prologue; Lilith being used, seduced, impregnated, abandoned and left with no child by a Sachael. It then follows Estelle who also encounters a Sachael, however, Azrael has been seeing her for the past four full moons, claiming that he's attracted to her. I think Winter has done an excellent job making me care about the characters—starting off with a strong prologue, leading up to make me feel cautious about the same thing happening to Estelle. And this book was fast-paced, which I really like. However, there were various parts that were extremely predictable and I think there were several irrelevant parts that could've been used to develop the relationship between Estelle and Azrael more. The development was mediocre, perhaps even a bit too fast, but it didn't bothered me too much. The thing that did bother me sometimes had been Estelle, don't get me wrong, I don't hate her nor do I like her—but I do respect her. She's sometimes too naïve, clueless but selfless, especially concerning her mother. Ever heard of 'mother knows best', well Estelle sure needs to take a note of that. Also at times it had been really abrupt, causing the readers to think 'okay, then. and now?' instead of screaming in pain, shouting at the books asking 'why'. I think some parts could've been executed better. As for Azrael, honestly I don't really feel connected to him, but I do like him, he's extremely kind and cares a lot about Estelle. As for the spoilery section, please don't click on here if you haven't read this book, because I really encourage you to read it even though it is at times predictable. (view spoiler)[Okay, I really want to talk about the fact that Azrael brother's died, it was so extremely abrupt and it didn't cause me any emotions at all, I didn't think this was executed really well as I mentioned above. Like what was even the purpose of his brother coming with Azrael except being a cockblock (don't get me wrong I liked him) but I felt as if he didn't serve any purpose at all in this book. Only providing the author an excuse for Azrael for his absence. Estelle’s story is not a peaceful one; kidnapping, escape, fight scenes, The first thing I remember thinking about Sachael Dreams is: what a brilliant premise. Not unlike a wave crashing to shore, it landed on my desk and instantly captured my attention. The paranormal romance/romantic fantasy genres are heavily saturated with angels, demons, vampires, werewolves, and a plethora of other supernatural critters, but Winter managed to do the unexpected — she gave us a brand new creature altogether. First off, I thoroughly enjoyed this book. Ms. Winter’s style is easy to read with the perfect amount of description. I could see the coastlines, Estelle Bailey’s home, Ravenscar, Robin Hood’s Bay, and the village. The characters were enjoyable and for the most part, rich and complex. I did find myself wishing Estelle was just slightly braver earlier in the story. However, she is a complex character and extremely likeable. The romance between Estelle and the Sachael is beautifully drawn. The read First off, I thoroughly enjoyed this book. Ms. Winter’s style is easy to read with the perfect amount of description. I could see the coastlines, Estelle Bailey’s home, Ravenscar, Robin Hood’s Bay, and the village. The characters were enjoyable and for the most part, rich and complex. I did find myself wishing Estelle was just slightly braver earlier in the story. However, she is a complex character and extremely likeable. The romance between Estelle and the Sachael is beautifully drawn. The reader can feel the passion and electricity between the two, and I found myself intrigued by this stunning world Ms. Winter has created. And for as much as I love the main characters, Ms. Winter has also written some amazingly wonderful villains. They are horrible, in the best possible way. The story is a love story, but it has been written with new mythology and original creatures, and is more than just a romance. The complexity of plot, and subplots, is mixed with the undersea world that is laced with the humans of the land thus laying the ground work for an exciting and fascinating series. I read this book in two days and am excited to read the next installment. My only reason for giving it 4 stars instead of 5, was I felt it could have gone deeper and been grittier, but despite that, it’s fantastic. First off, I thoroughly enjoyed this book. Ms. Winter’s style is easy to read with the perfect amount of description. I could see the coastlines, Estelle Bailey’s home, Ravenscar, Robin Hood’s Bay and the village. The characters were enjoyable and for the most part, rich and complex. I did find myself wishing Estelle was just slightly braver earlier in the story. However, she is a complex character and extremely likeable. The romance between Estelle and the Sachael is beautifully drawn. The reade First off, I thoroughly enjoyed this book. Ms. Winter’s style is easy to read with the perfect amount of description. I could see the coastlines, Estelle Bailey’s home, Ravenscar, Robin Hood’s Bay and the village. The characters were enjoyable and for the most part, rich and complex. I did find myself wishing Estelle was just slightly braver earlier in the story. However, she is a complex character and extremely likeable. The romance between Estelle and the Sachael is beautifully drawn. The reader can feel the passion and electricity between the two, and I found myself intrigued by this stunning world Ms. Winter has created. And for as much as I love the main characters, Ms. Winter has written some amazingly wonderful villains. They are horrible, in the best possible way. Do yourself a favor and read this book, you won’t be disappointed. I don’t know why, but the cover for this one really grabbed me, even if I wasn’t quite sure what the title meant. There is some darkness here that may mean that this story isn’t for everyone, but when you’re in the right headspace, Sachael Dreams is absolutely perfect! If you’re looking for a fresh take on water fantasy, this is the book I’d recommend (and will be reocmmending!). I really enjoyed reading about Estelle, and found the mixture of fantasy and romance in her story to be both refreshin I don’t know why, but the cover for this one really grabbed me, even if I wasn’t quite sure what the title meant. There is some darkness here that may mean that this story isn’t for everyone, but when you’re in the right headspace, Sachael Dreams is absolutely perfect! If you’re looking for a fresh take on water fantasy, this is the book I’d recommend (and will be reocmmending!). I really enjoyed reading about Estelle, and found the mixture of fantasy and romance in her story to be both refreshing and really engaging. I do wish the blurb had given away a little less of what was going to happen as it did give a bit of a play by play of some of the bigger plot points, but there is still a lot going on in this story that you’ll get to discover for yourself. I think I’m just feeling a little angsty against overly long blurbs these days. Also, bonus points for a prologue that genuinely worked with the story, and had me desperate to keep reading! After that, there were some points where I had trouble staying connected with the characters, but not so much so that it threw me out of the story. This book was written so beautifully well. This is definitely part of my 2015 favorites ! Thank you Melody for writing this beautiful book ! I couldn't stop reading it. I read it in one sitting. I really don't want to spoil you guys. YOU GUYS REALLY NEED TO READ THIS! The concept was so intriguing and unique. Melody Winter deserves a standing ovation of this book because it's amazing ! 5 AMAZING STA HOLY CHEESE.